Far away, in the heart of a Czech forest, some very dedicated Lord Of The Rings fans recreated an epic battle from The Hobbit. 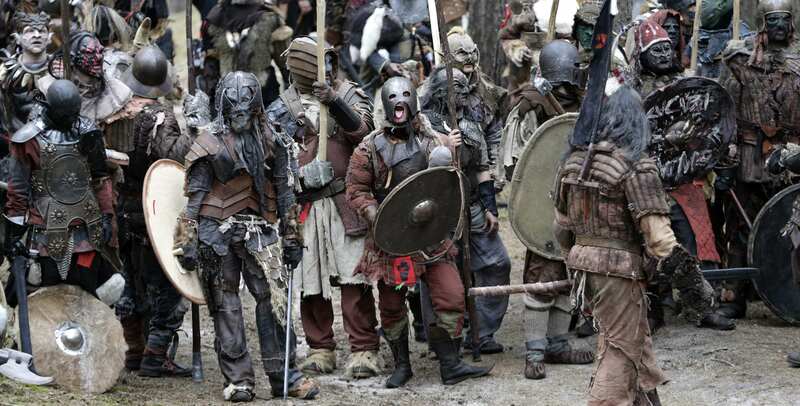 Almost a thousand people donned their most fearsome gear, dressing as orcs, elves, dwarves, goblins and the like to fight it out in the battle for Middle Earth on, well, regular Earth. 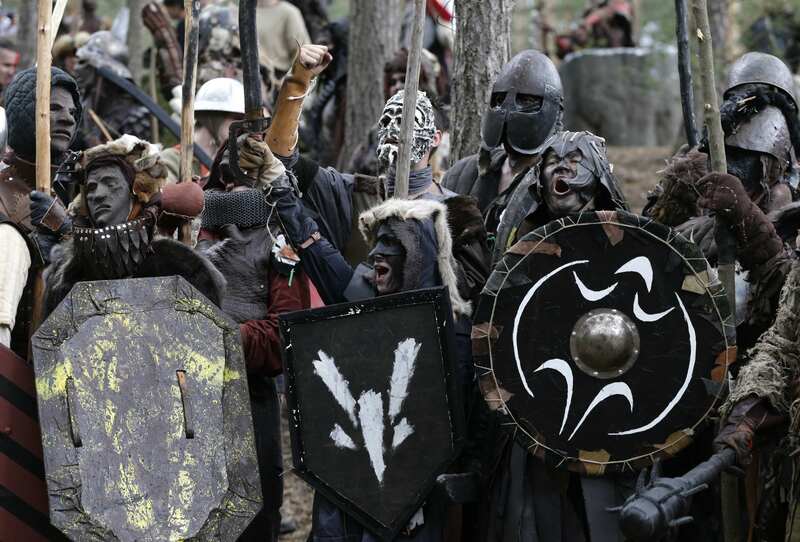 The die-hard fans gathered to carry out their interpretation of the Battle Of Five Armies, as Orcs and Wargs fought against Men of Dale, Elves and Dwarves on the Lonely Mountain. 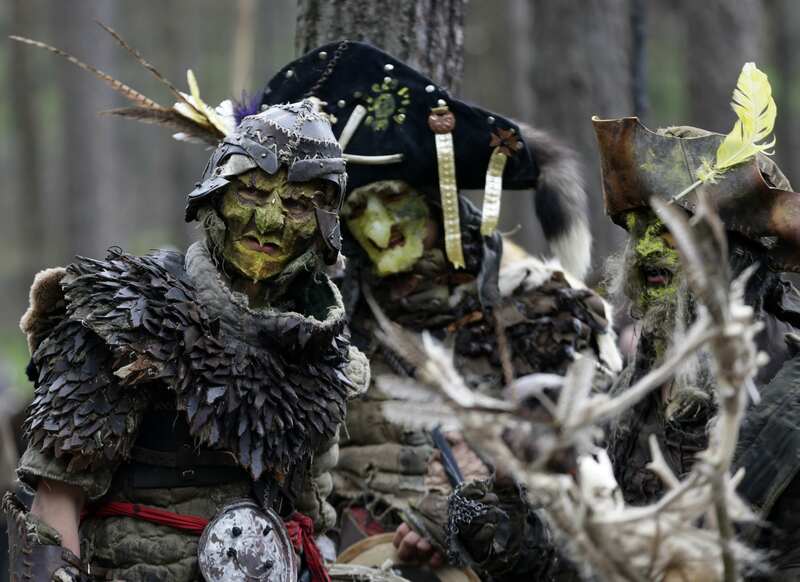 The re-enactment – which has taken place every year since 2000 – was staged in a forest near small vacation town Doksy in the Czech Republic. According to the organisers website, victory is determined by the successful fulfilment of certain tasks, such as ‘securing strategically important ford’ or ‘strongest cast’, ABC News reports. Just in case you’ve never watched the film, this battle basically all kicked off after thirteen Dwarves of Erebor refused to share the gold they’d recaptured from the dragon Smaug. Okay, if we are being picky it wasn’t completely authentic as there were no giant bears, Were-worms or Gundabad Bats in sight- but we couldn’t imagine this would have been particularly easy to pull off- even for the actual films costume designers. Either way it’s still a great bloody effort- fair play to them!